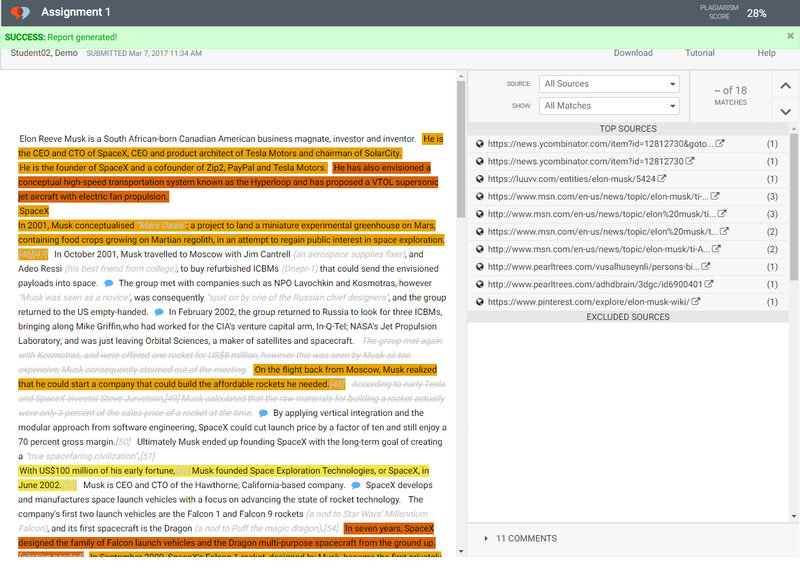 VeriCite DocumentationUser GuidesCanvas User Guide New Canvas Plagiarism Detection Framework Integration - Student ArticlesHow do I view my VeriCite report? If your instructor has allowed you to view your own reports, you may access and view your VeriCite report from Assignments or from Grades. Viewing your VeriCite report from Assignments. Zoom: Click on Submission Details. Click on the report matching percentage. Zoom: Click on the report matching percentage. Viewing your VeriCite report from Grades. Prev: How do I submit my paper to VeriCite?